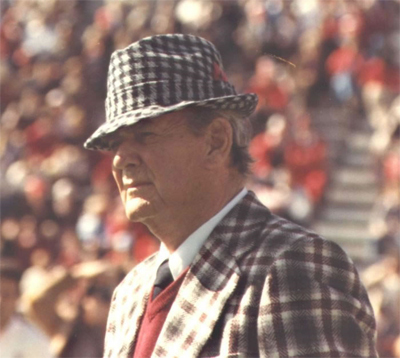 Long time chauffer to Coach Bryant,Billy Varner; died recently at the age of 76. Varner had worked with Bryant for years and towards the end of Coach Bryant’s life, became a good friend of the coach. “Billy had a very good personality. He was very engaging, he was friendly, he was fun to be with and he could tell a story,” said athletic director Mal Moore. Varner went on and worked with the Tuscaloosa police department for 20 years (1976-1996) before retiring. Recently, ESPN.com did a special feature on Varner and Bryant’s relationship. To read more about Billy Varner, check out this article from the Tuscaloosa News.